Intel has been on a nerd offensive lately. The company best known for making PC processors is now turning its attention to us—embedded designers. The recent rollout of the Atom E6xx “Tunnel Creek” chips (see ETJ, 9/14/2010) and the company’s acquisitions of Wind River’s RTOS and Infineon’s wireless chip business means that Intel wants to be your one-stop hardware/software supplier. Do we care? Maybe. It’s always been easy to dismiss Intel chips as too expensive, too hot, and too stupid to be good for embedded designs. Real men design with real embedded processors, after all. On the other hand, Intel does have some pretty good technology lurking under all that x86 baggage. And there’s a whole heck of a lot of software for those chips. And it’s easy to find experienced x86 programmers… and peripheral logic… and technical support… and documentation… and development tools. Maybe playing for the other team and trying x86 “as an experiment” isn’t such a bad idea. Maybe once you go x86, you’ll never go back. Intel’s not ready to dive back into the 8-bit market by resurrecting the 8051, and even the 16-bit world is a bit low-brow for the semiconductor seller from Santa Clara. But 32-bit embedded processors are right up Intel’s alley. In Intel’s world, everything revolves around the x86 instruction set (they call it “Intel architecture” inside the building), and Atom is at the heart of its embedded push. Case in point is Moorestown, Intel’s Atom-based chip set for high-end cell phones. Moorestown starts with the Atom Z6xx processor, which is a lot like the Atom E6xx, but with different I/O. Actually, all Atom chips are identical inside; Intel designed only one Atom CPU core. The company just tweaks—or disables—features from one chip to another to make them look different. Inside, it’s the same heart beating in all of them. The Moorestown chip set also includes a PCH MP20 (“Langwell”) support chip and a mixed-signal chip called Briertown. Like Atom E6xx, the Z6xx processor needs off-chip clock generation and an off-chip power manager. You can’t just hook up a crystal and go. This is a carryover from Intel’s PC designs, where complex off-chip support logic isn’t a big deal. 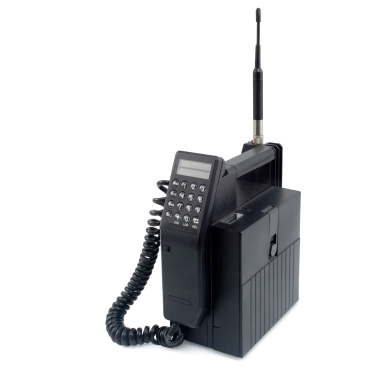 It’s kind of a drag for a cell phone design, though. When you’re all done, you’re looking at a five-chip set for Moorestown, and that’s before you add any wireless features at all. Okay for a tablet, maybe, but pretty bulky for a smartphone. Now that Intel has bought Infineon’s wireless chip business, future Atom chip sets will likely include the 3G, 4G, Wi-Fi, and Bluetooth functions, but that probably won’t happen until 2013 at the earliest. It’ll take a long time to integrate Infineon’s mixed-signal designs with Intel’s fabrication technology. If the company is smart, they’ll also integrate the clock- and power-management features. So before too long, you might have a credible x86-based smartphone chip set to work with. Whether that will be more attractive than ARM- or MIPS-based alternatives depends on what you want. ARM-based chips currently dominate the cell phone market, and they have a 100% share of the high-end smartphone market. (Low-end cell phones often use proprietary microcontrollers.) If you want ease of development and compatibility with other smartphones, ARM seems like the way to go. Over on the other side of the RISC tent, MIPS has been doing a bang-up job of porting Android to its processors. MIPS chips are already popular in consumer electronics, and the company sees Android as its second chance to break into the smartphone market. Maybe they’re right: a handful of OEMs have shown interest in building Android-on-MIPS products that should hit the shelves early next year. Then there’s x86. The world’s most-popular chip family for PCs is also the least-popular for smartphones and tablet computers. Does PC compatibility offer any advantages to a smartphone developer, or is it simply a “don’t care?” It seems like the best (and perhaps only) reason to use an x86 processor is because you want to run Windows and want to use existing PC software. That makes more sense for a tablet computer than for a smartphone; it’s difficult to imagine PC programs running on a tiny, touch-sensitive screen. And PC compatibility means more than just an x86 processor: you’d need to have the full array of PC-compatible peripherals and I/O, too. There’s no such thing as being “partially compatible.” Go big or go home. And big is the key here. Intel’s Moorestown chip set takes up a lot of space and consumes more power than contemporary RISC-based equivalents. So you’d be trading off size, weight, and battery life for… what, exactly? Potential compatibility with PC hardware and PC software might open the doors to an instant “app store” that includes the whole world of PC software, but it’s not clear that anyone cares. BlackBerry, iPhone, and Android phones have all developed their own software ecosystem from scratch, without any backward compatibility with other platforms — PC or otherwise. Building an x86-based smartphone or tablet also means, paradoxically, developing a lot of your own software. There’s no wealth of wireless middleware for x86 like there is for ARM. Finding 3G software for ARM is a piece of cake; finding an x86 equivalent is a lot trickier. That’s most of the reason ARM-based phones are so prevalent: nobody has time to develop new code for a new CPU when ARM middleware is already there. It’s a big game of follow the leader, and ARM happened to get there first. Ironically, it’s the same effect that led to an x86-dominated PC market, but in reverse. Intel is clearly working hard to make its processors attractive to embedded designers and particularly to smartphone designers. Moorestown checks most of the right boxes and it’s got Intel’s blue ribbon brand name behind it. Future chips in the family promise to be faster (of course) as well as better integrated. These things take time, so even if the first-generation Moorestown isn’t quite your cup of tea, follow-on products may better suit your taste. The mobile computer / tablet / smartphone market could shape up to be either a gradual shrink of the x86-based PC or an entirely new platform based on new hardware and software. Which way do you want it to go?